Duchess of Atholl was launched at W. Beardmore & Co., Glasgow, by her namesake in 1927. Although launched two months before her sister Duchess of Bedford, the ship's completion was delayed by an accident which damaged some of her machinery during fitting out. As a result, her maiden voyage from Liverpool to Montréal began on 13 July 1928, six weeks after Duchess of Bedford's. 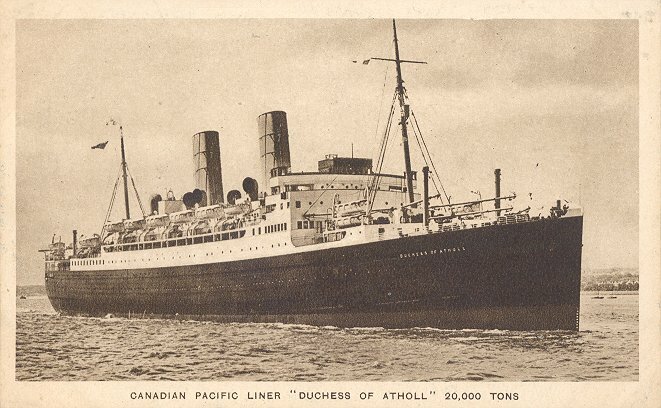 For a month in 1928, Duchess of Atholl held the record for an eastbound crossing from Canada to Liverpool, at 6 days, 13 hours. 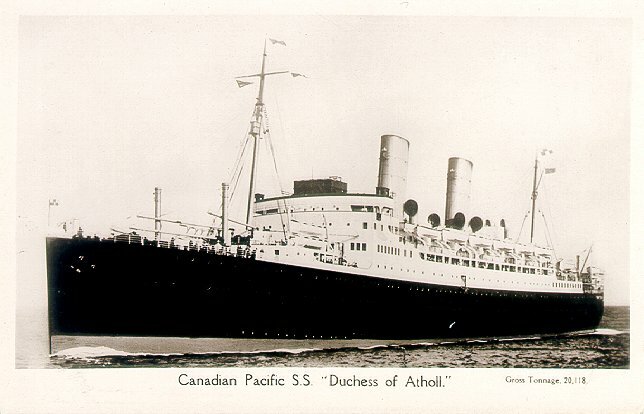 Duchess of Atholl remained in Canadian Pacific's North Atlantic service until she was taken over as a troopship in 1940. She was still serving in that role when she was torpedoed and sunk by U178, 200 miles from Ascension Island on 10 October 1942. There were four fatalities among the 830 passengers and crew. Sister ships: Duchess of Bedford/Empress of France (II); Duchess of Richmond/Empress of Canada (II); Duchess of Cornwall/Duchess of York.